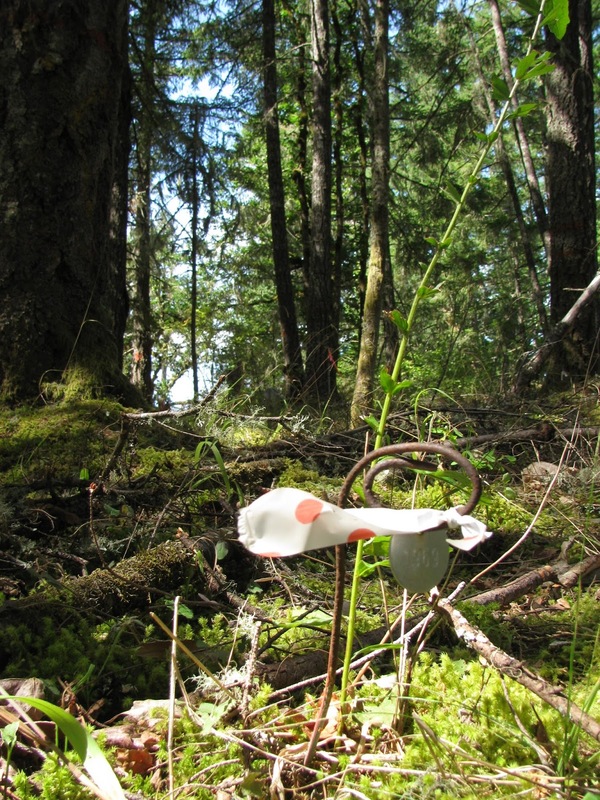 This year the Conservation Research department at the Institute for Applied Ecology (IAE) received funding from the Eugene District Bureau of Land Management (BLM) to monitor and make management recommendations at select Eucephalus vialis populations. Eucephalus vialis, or wayside aster, is a perennial plant native to transitional habitats between forest and prairie in western Oregon. As such, light exposure and canopy density are important considerations for the conservation of Eucephalus vialis. Our work with Eucephalus vialis this year has been to monitor sites where forest thinning has occurred. IAE research that took place between 2001 and 2010 indicated that thinning treatments (which increased light penetration) reduced mortality, increased plant size and increased the number of flowers per plant. Thinning also increased the abundance of native grasses, forbs and shrubs. There were slight increases in invasive plants specializing in edge habitats such as St. John's wort, blackberry and false-brome. Burning, as it was conducted in these plots in previous years, was found to have no significant effect as a restoration treatment on Eucephalus vialis. This year's monitoring has been a mixed bag of beautiful late summer weather, poison oak, and one intense thunderstorm. The edge loving nature of Eucephalus vialis means that many of our field sites were in very scenic forest edges and ridge lines, with one site located in old-growth Douglas-fir forest. Though we have not yet been able to analyze data this year, we have observed that sites that have been thinned have had lower mortality, greater recruitment of new plants, more flowers, and larger plants than un-thinned sites. Unfortunately poison oak shares habitat preferences with Eucephalus vialis and some of our crew has been suffering from the dreaded “oak”. We have completed the monitoring portion of the project and are looking forward to visiting additional field sites in order to make management recommendations for Eucephalus vialis sites. A Eucephalus vialis plot in a grove of large Douglas fir.